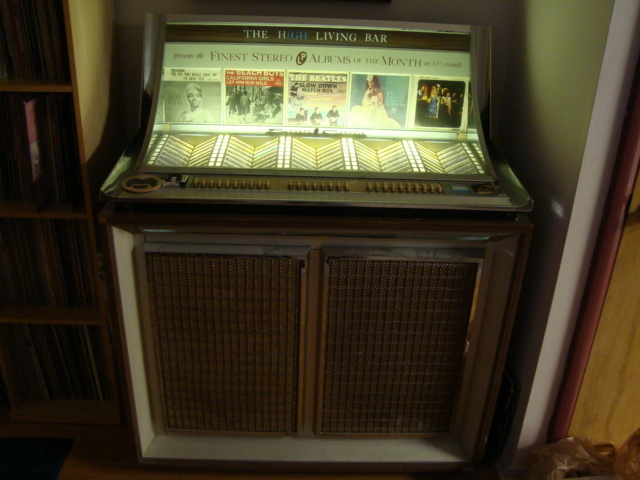 Today’s classic comes from a double A-sided reissue single on the Collectables record label released specifically for jukeboxes featuring two big hits by two different artists. Most of the records in the juke are original pressings, however this was the only copy of Ingram’s soul classic I could find at the time I was looking, plus having two hit singles by two different artists on one record is indeed a bonus. “If Loving You Is Wrong” was originally recorded in 1970 by The Emotions with an up-tempo arrangement that didn’t serve the song well. 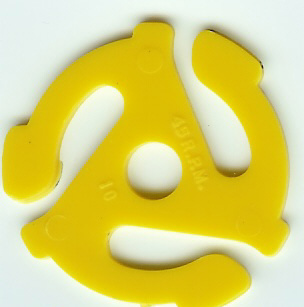 As a result, the record was left on the shelves of STAX records unreleased. Luther Ingram moved to Memphis after several failed attempts at a recording career in New York City and signed a recording contract with the KoKo label which was distributed by STAX Records. With the label, he found success scoring the top-ten R&B hit “Ain’t That Loving You (For More Reasons Than One)” in 1970. 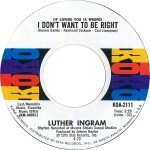 While at STAX, Ingram discovered The Emotions’ version of “If Loving You Is Wrong” and rearranged and recorded the song as a mournful ballad. His version topped the R&B charts and rose to the number three position on the pop charts in 1972, selling over four million copies. 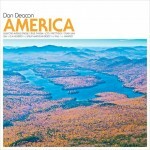 The song has been covered by a plethora of artists including Isaac Hayes, Rod Stewart, Percy Sledge, Bobby “Blue” Bland, Ramsey Lewis and Cassandra Wilson. Millie Jackson’s 1974 chart version of the song was expanded into an eleven minute suite complete with a spoken “rap” which was nominated for two Grammy Awards. Barbara Mandrell also scored a country hit with her rendition of the song in 1978. The flip of this double A-sided single is “Popcorn” by Hot Butter. “Popcorn” is a bubbly electronic confection composed by German musician Gershon Kingsley who was known for his work composing classical and Broadway music, and writing TV commercial jingles. Kingsley recorded the influential electronic album The In Sound from Way Out! with Jean-Jaques Perrey for Vanguard Records in 1966. 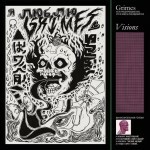 The album promoted the use of synthesizers in pop music years before German recording artists Can and Kraftwerk. 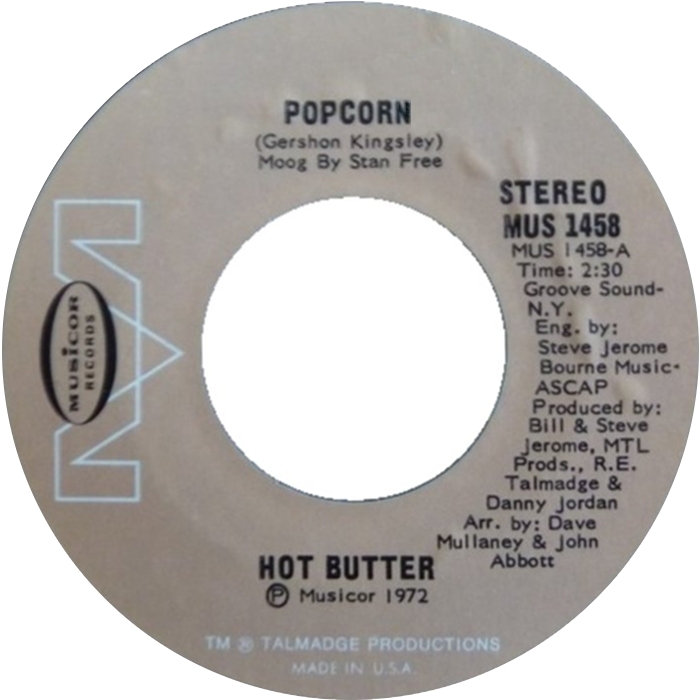 Kingsley first recorded “Popcorn” for his 1969 album Music To Moog By, and then recorded the song again in 1971 with his First Moog Quartet. Stan Free was a member of The First Moog Quartet and re-recorded the song in 1972 under the name Hot Butter. Hot Butter’s record came out during the moog craze of the early 1970s that saw classical records by the likes of Walter/Wendy Carlos (Switched On Bach) and Isao Tomita (Snowflakes Are Dancing) cross over to the pop charts and sell millions of copies. 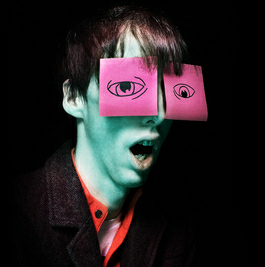 Hot Butter’s recording was one of the first all-electronic records to chart on the Billboard Hot Singles Chart, peaking at #9 pop and #4 on the adult contemporary charts. The song was not named for popcorn that you eat; rather it was an amalgam of “pop” for pop music and “corn” for the kitsch and novelty of the recording. 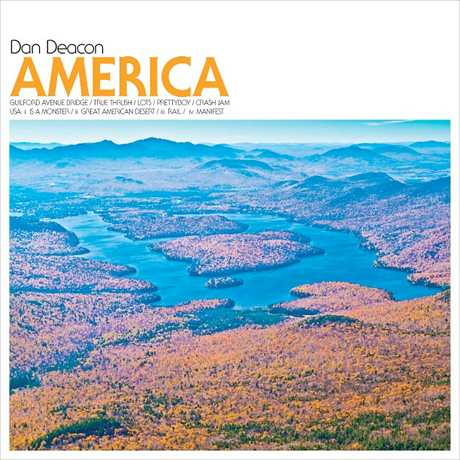 It has been covered by the likes of Herb Alpert & The Tijuana Brass, Jean Michel Jarre, Arthur Fiedler & The Boston Pops, James Last, Norrie Paramour, Ronnie Aldrich and The Muppets. Kingsley also wrote the music used by Disney theme parks for its Main Street Electrical Parade and the theme from the TV game show The Joker’s Wild. 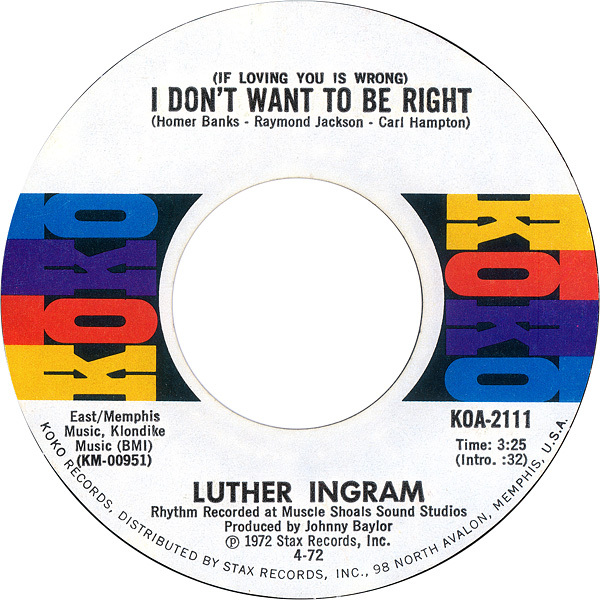 While at STAX, Ingram discovered The Emotions’ version of “If Loving You Is Wrong” and rearranged and recorded the song as a mournful ballad. His version topped the R&B charts and rose to the number 3 position on the pop charts in 1972, selling over four million copies. 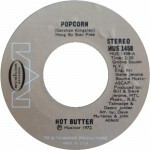 The flip of this double A-sided single is “Popcorn” by Hot Butter. “Popcorn” was a bubbly electronic confection composed by German musician Gershon Kingsley who was known for his work composing classical and Broadway music, and writing TV commercial jingles. Kingsley recorded the influential electronic album The In Sound from Way Out! with Jean-Jaques Perrey for Vanguard Records in 1966. 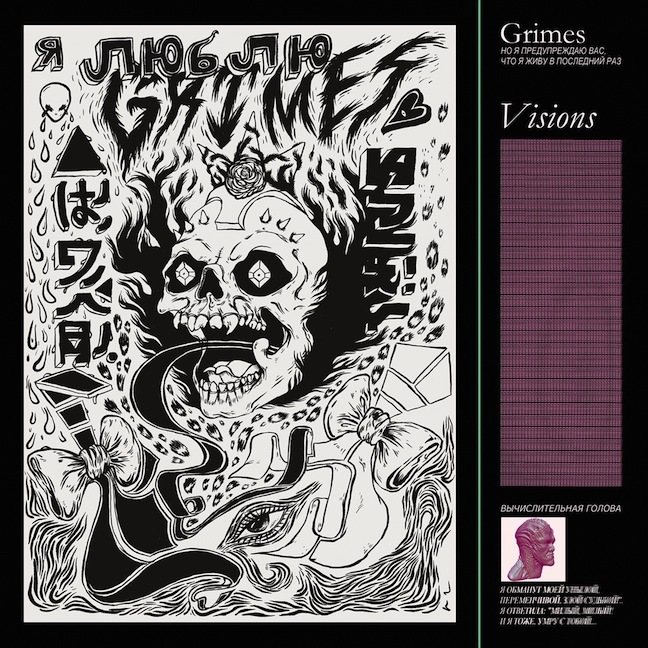 The album promoted the use of synthesizers in pop music years before German recording artists Can and Kraftwerk. Along with Fatboy Slim, The Crystal Method, Groove Armada, The Propellerheads and The Prodigy, The Chemical Brothers introduced the world to an influential dance oriented “Big Beat” music driven by heavy breakbeats in the early 1990s. The duo of Tom Rowlands and Ed Simons called themselves “The Dust Brothers” after the influential U.S. producers of early Beastie Boy records. 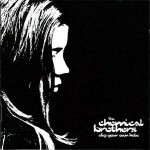 Once they began to become famous with their own records, they were forced to change their name to The Chemical Brothers after their early hit “Chemical Beats.” In the mid-1990s they released an album called “Exit Planet Dust” referencing the name change. They were asked by mega-fan Noel Gallagher of Oasis to work on a track together that became the U.K. #1 single “Setting Sun” landing them at the forefront of the British music scene. Which brings us to the 1997 album “Dig Your Own Hole” and its lead single “Block Rockin’ Beats” that broke them in America. 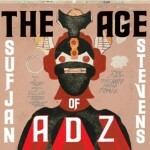 It is not only a landmark dance record, but it is also one of the greatest albums for a workout in the gym. By the end of the 1990s, the Brothers were headlining the Glastonbury Festival in England. 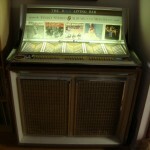 They still tour, produce other artists and release records today. 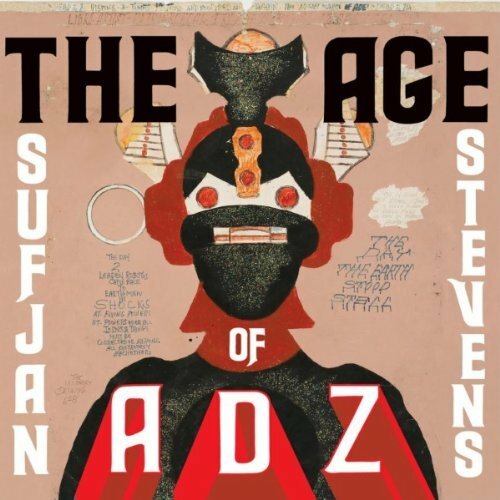 Stevens goes all electronic and orchestral on this stand-out track from his 2010 album, “The Age Of ADZ.” I love it when musicians do it all themselves on their records, and this one is pretty much a one man show. 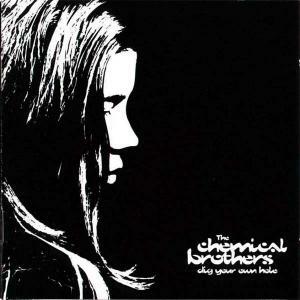 The video accompanying this song captures the manic, claustrophobic feel of the track.